To most people living with diabetes eating bananas are always viewed as risky and a NO, NO! However, the truth is, it is safe to eat bananas a diabetic as long as you proceed in moderation. On eat a reasonable portion and not bunches. Almost everyone reading this article has eaten a banana at least once in their lives, right? But very few people know would recognize a banana plant when they see it with no bananas on it. 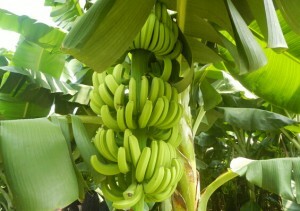 Basically in one growing there can be between 50-150 bananas in a bunch. The bananas are graded according to sizes. There are the average sized, small and the extra-large ones. Bananas are generally low in cholesterol, sodium and saturated fats. You will also get a good share of vitamin B6, manganese, and potassium. 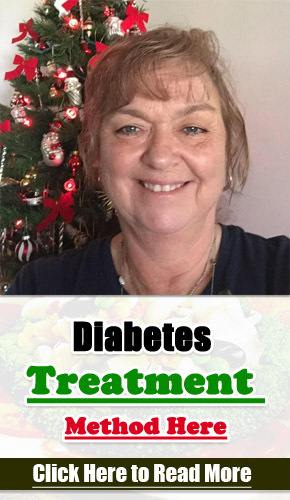 When it comes to a diabetic further scrutiny is needed given the fact that bananas contain high sugar levels and high calories which might be fatal to a diabetic. According to a publication by Harvard Health bananas have an average sized banana has a glycemic load of 11. If you are diabetic I’m certain that you know what a glycemic load is or have at least heard of it. A glycemic load measure how a certain food substance will impact on the blood glucose levels. Anything below 10 is considered low whereas anything above 20 is considered as a high glycemic load. As a diabetic, you should be very cautious on the amount of carbohydrates you eat in a day. This is due to the fact that carbohydrates have a high potential for raising the blood sugar levels. People who are fortunate to be healthy produce enough insulin to break down the sugars that are then stored in the cells. The same cannot be said about the diabetic. This is the exact opposite of a diabetic. When a diabetic consumes food that is rich in sugars, the body is unable to release enough insulin to convert the sugars into energy. In some people, the cells become insulin resistance to the effects of insulin. If not properly managed the accumulation elevates the blood sugar levels that can be fatal to the health of a diabetic. Carbohydrates in a banana are in form of fiber, starch, and sugars. That’s not all; nearly 94% of the calories contained in a banana are from the carbs in it. An averaged sized banana contains 6g of starch and 14g of sugar. Is it safe to eat bananas as a diabetic? Generally, most fruits are suits. Some of the examples of low sugar fruits are pears, grapes, and apples. Fruits that contain high sugars include pawpaws and pineapples. Given the sugar content in a banana, the obvious option would be not to eat bananas if you are diabetic. However, if you consider the overall nutrients in a banana, this is a healthy option whether you are diabetic or not. Based on the American Diabetes Association, as a diabetic, one should always see to it that he/she includes a healthy fruit in the meal plan. How bananas are prepared will make the difference on whether they will be healthy to you as a diabetic or not. Some bananas are prepared as chips and this means that they may contain added sugars. Bananas that are prepared in this manner have a very high chance of raising your blood sugar levels compared to just eating an average sized fresh banana. There is a way that you can incorporate a banana into your meal plan with no fear of a spike in the blood sugar levels. 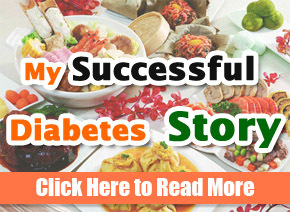 Diabetic are taught how to keep a track of the carbs they consume in a sitting. For instance, an average sized banana contains a minimum of 30grams of carbohydrates making it a healthy snack. The best way in which you can include a banana in your meal plan without necessarily raising the carbs count per meal would be substituting a banana with something else that was rich in carbs in the meal. To ensure that you provide your body with all the essential nutrients it is advised that you also include food sources that contain healthy unsaturated fats such as nuts and almond butter. The combination is both delicious and has health benefits to your blood glucose levels. You can also add something high in proteins such as turkey slices and Greek yogurt. Proteins take longer getting digested and this means that you will remain full for longer. Generally, unripe bananas, when consumed by the diabetic, have a less likelihood of causing a spike in the blood sugar levels compared to ripe bananas. Unlike ripe bananas, the unripe counterparts contain resistant starch that is not easily digested and absorbed into the blood. This means that there won’t be an adverse effect on the blood sugar levels. As a diabetic when it comes to eating a banana size matters. The bigger the banana the more the sugar and carbs, on average: a small sized banana contains 23g of carbohydrates whereas a large banana contains 35g of carbs. What is enough in a day? There is no specific answer as to how many bananas you should eat in a day as a diabetic. This is due to the fact that this will largely depend on the activities they engage in and hoe eating a banana affect the blood glucose levels. Some people are more sensitive to bananas than others. For this reason, you should know which category you fall in. It is only then that you can estimate how many bananas you can eat in a day. On average a diabetic should only consume at least one banana in a day. Size matters- eat only a small portion of it to reduce the amount of carbs and sugar you consume. Avoid over-ripe bananas- choose a banana that is nearly ripe since it is lower in sugars. Moderation- other than consuming several bananas in one sitting spread the intake throughout the day. By so doing you shall be reducing the glycemic load and your blood glucose levels shall remain stable. Eat a banana with other foods- by eating bananas with other foods such as nuts will help slow down the absorption of sugar into the blood. On a general view, bananas contain nutrients that should be added to a diabetic meal plan! However, it is also crucial to know that bananas are also high in carbohydrates. This has to be factored into your meal plan. Avoid processed bananas since they might contain added sugars that are not healthy for a diabetic. To be safe consult with your dietitian for advice on how to successfully include bananas with your meal plan without affecting the blood sugar levels. Bananas are a healthy fruit irrespective of whether you are diabetic or not as long as you proceed in moderation. Bananas are rich in nutrients and low in calories. As mentioned earlier, always see to it that you consult with your dietitian for advice.